Microsoft on Tuesday (30-09-2014) unveiled its new version of Windows, Windows 10. Instead of releasing Windows 9, they jumped off to Windows 10 from Windows 8. This version of windows will soon be available for gadgets like smartphones to PCs. They unveiled only the PC version of the Windows 10 but said that it will support other gadgets too. "Windows 10 represents the first step in a whole new generation of Windows", said Terry Myerson, executive vice president of Microsoft's operating systems group. The main highlight of this version of Windows is that it will see the comeback of the Start menu. 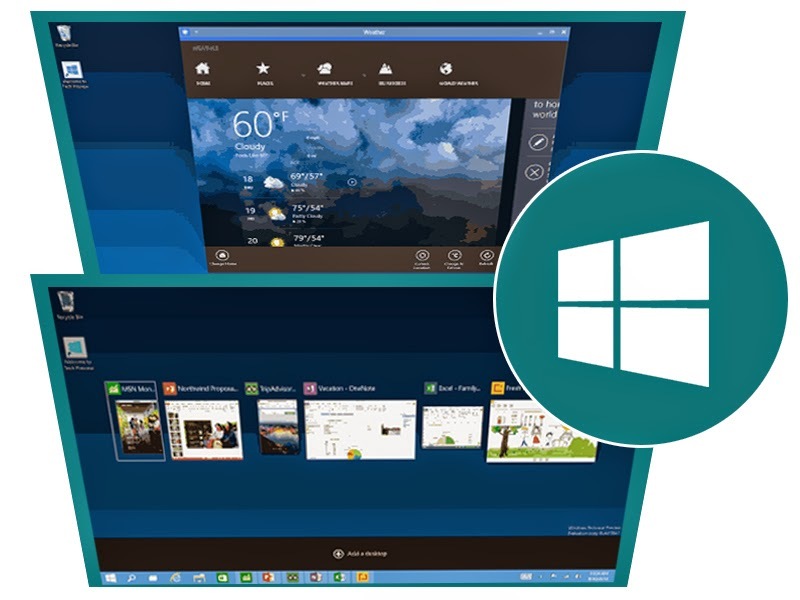 Combining the features of Windows 7 and Windows 8, the Start menu will be split into two sections. On the left side of the menu you will see the list of apps like you see in Windows 7 and on the right you will see “live tiles” that open the Windows 8 modern style apps. Windows 10 unlike windows 8 does not work on the Metro user interface but brings back the classic experience which will certainly please the users. When opening the apps in windows 8, the app covers the entire screen and you cannot access the taskbar from it, let alone resize it. Windows 10 does away with that. You can resize, drag the new-style apps just like the old win-32 apps. And also unlike in windows 8, you can use win-32 apps in full-screen mode. We all know that Windows 8 was more suitable for touch devices, but windows 10 will be good in touch and non-touch devices. The mobile version will also have the same name but will not get the exact same features. Microsoft has not revealed the price of the OS yet, nor has it told how it’ll reach the people. A ‘technical preview’ of the Windows 10 OS will be available this week. Rumors say that Microsoft is also planning on making upgrading free, like the OS X upgrades that Apple give. So it’ll be easy to get the Windows 10 without much confusion.